KARDITSA, THE IDEAL DESTINATION FOR INCENTIVES, CONFERENCES, CONGRESSES, MEETINGS, BUSINESS TRAVEL,INTERNATIONAL CULTURAL AND SPORT EVENTS. 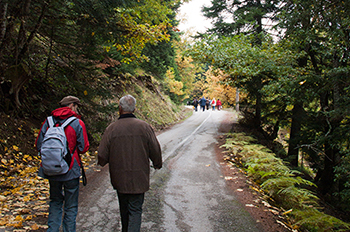 Karditsa occupies the south-western part of Thessaly, a region abundant in unspoilt forests, water areas, archaeological sites, villages with traditional architecture, ancient towns, Byzantine castles, monasteries and old churches. In the city of Karditsa, there is the green park of Pafsilipos, the Archaeological Museum, the Museum of the City with its educational programs and the Municipal Gallery. An excellent Byzantine monument, the Castle of Fanari periscopes the area from the foot of Mt. Agrafa, while the monasteries of Panagia Pelekiti, Koroni near Lake Plastira, Spilia in Argithea, which is a pole of attraction for those who love mountains with the beautiful lake Stefaniada and Our Lady’s Dormition in Rentina are unaltered pieces of a living history. Acting as a hub in the wider region, Karditsa has been the crossroads of several peoples and cultures. Excavations have brought to light ancient settlements, cities and fortifications dating back to prehistoric times (6,000 BC), as well as tombs found at the sites of Kedros, Paliouri and Agioi Theodoroi. 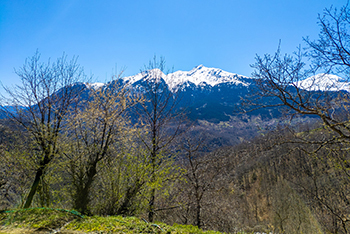 The mountain ranges of Pindos, which run along the ancient road that once connected western Thessaly to the Epirus regions in the north, create splendid mountain landscapes beguiling to visitors. They host a mixture of flora that produces a wide variety of ecosystems, characterized by the tree and bush species (oak forests, pine forests, riverside woods). Spreading northeast, the immense “green sea” of the Thesasalian plain is traversed by the tributaries of Pineios River. Combining the charm of the old with the comforts of the new, the namesake capital town of Karditsa is an important administrative, economic, commercial and cultural centre, with large squares, velodromes and plenty of green. The Municipal Market in Karditsa is one of UNESCO’s protected cultural monuments. The artificial Lake Plastiras, with the mountainous maze of Agrafa in the background, is a pole of attraction for thousands of visitors each year, a splendid experience thanks to its natural beauty and unique sights that surround it. The harmonious combination of history, tradition, architecture, religious monuments and natural history is a pleasant surprise for visitors, that can also visit the lake of Smokovou and its thermal springs. The mountain slopes lend themselves for short or long trekking tours of various degree of difficulty. 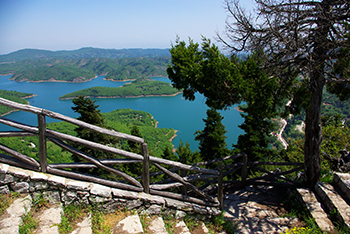 There are air-sport arenas at Templa and Kryoneri peaks within the lake area, as well as in Mouzaki, Ellinopyrgo and Agios Georgios. Mountain-biking is a new challenge for visitors, as well as hydro-bikes and canoes, which can be found at the lake shores. 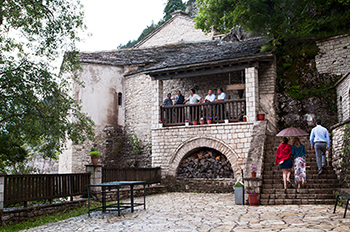 Festivals and festivities take place in each village at least once yearly, such as religious celebrations mostly dedicated to local patron saints, as well as wine festivals with plenty of traditional dancing, food and wine. Lake Plastiras becomes the focus of cultural events during the summer, featuring popular artists performing in an idyllic environment under the moonlight. 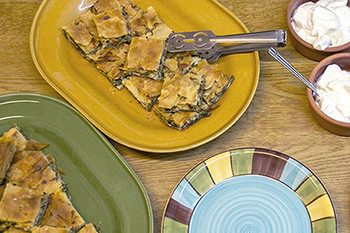 While in Karditsa, one should try the local vegetable pies, such as the delicious ''plastos'' and ''batzina''.